We are what we eat. Today we live in a World of excess consumption which primarily includes food to a greater extent among other material stuff. This has led us to outburst ourselves overshooting the scales to become obesity. 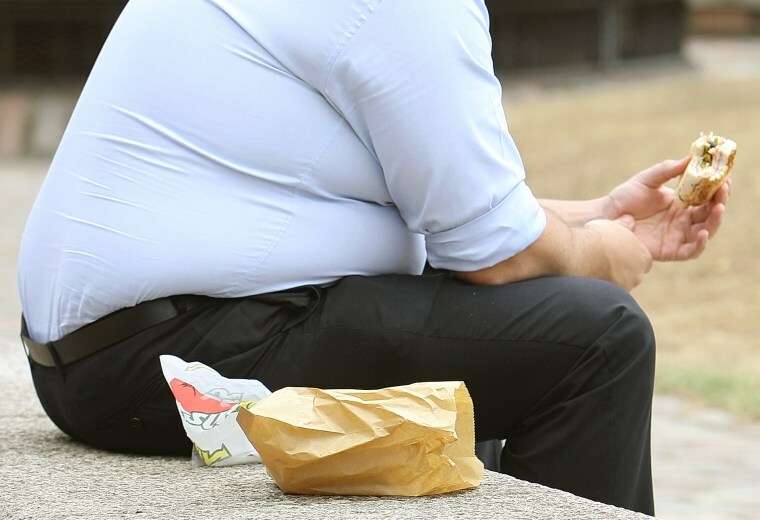 Obesity is the number one problem that each country faces. This in turn has brought us into the danger zone with greater incidence in the number of diseases which we are seeing today like diabetes, hypertension and cardiovascular disease. Obesity also takes a toll on the heart, joints and all internal organs. Since there is no limit set to eating or drinking, we need to be our own master who need to take care of our own bodies. if we do not take care of others will. Today we have all the diets that are geared to making money for their founders. But what is it doing to us. It is draining our wallets and making someone out there very rich due to OUR lack of discipline and control in what we are eating or drinking. What we see in the above plates is an illusion. The plate on the left is big, so we tend to fill it up to the brim. This is basic Human psychology. By taking a smaller plate, we tend to fill it too but the portion is much smaller in comparison. In both plates, the quantity is exactly the same. It is our mind at work here. So what do we need? We need to eat only when our body tells and and stop when it tells us. All we have to do is to listen to our body and the body will take care of the rest by performing its functions. What we need are self discipline in what we eat, the times we eat and the portions that we eat. It’s that simple. It does not cost us anything. In return we get self satisfaction, a feeling of accomplishment and a few pounds less on our bodies. We can eat anything we want, but we need to have portion control, frequency control and time control. Once we have controls put in place for all three we can work our way to better health. This is our life and we need to do it on our own. And mind you, ONLY WE CAN DO IT. No one can help us but us. You may not like what I am saying but this is the fact. Allowing time for adequate digestion. Avoiding temptation and succumbing to it. Eating right is not a luxury, but a need. Because what we eat is what we will be. We may not see the results today, but we will see results all throughout life. There is no short cut to weight loss. The only SHORT shortcut is to have self-control over what we eat and have self discipline in how we live our lives. Eating just right and drinking just right is what will make us or break us. So let’s choose the right way to live our life right. If we learn to become masters of our mind, we can control it by being a Master and not its Slave. Previous Post Do we have an ID? Next Post A CASHLESS World: WE CAN make it possible.